At the end of last month, Google started rolling out the Android 7.1.2 Nougat beta update to the Pixel, Pixel XL, Nexus 5X, Nexus Player and Pixel C devices. While all these devices were receiving this beta update, the Nexus 6P was left out by Google without providing any proper reason. Well, if you are a Nexus 6P user and were eagerly waiting for the 7.1.2 Nougat beta update, it’s time for you to jump around with joy as Google has started rolling out this beta update for the 2015 Nexus flagship. This 7.1.2 Nougat beta update for the Nexus 6P, which carries build number NPG05F, is 1293.1 MB in size so we advice you to download it over a Wi-Fi connection. 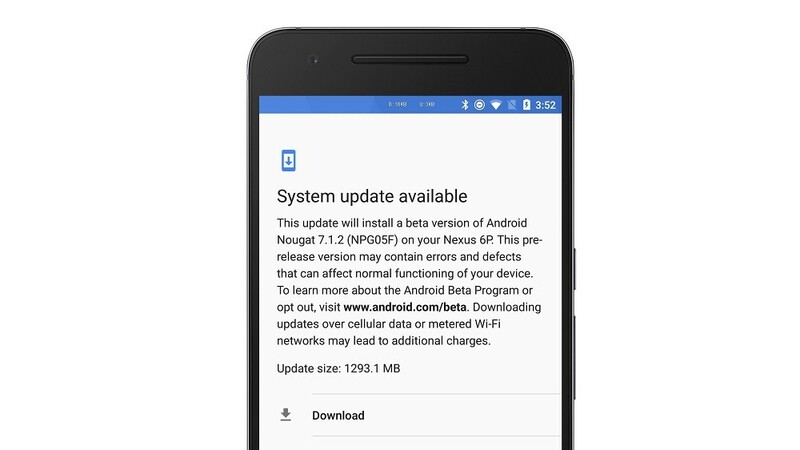 If you are enrolled in the Beta program, you must have received update notification on your 6P. But, if you haven’t, you can check for it manually by going to Settings > About phone > System updates. There isn’t much information available as to what this update has brought to the Nexus 6P, however, several users on Reddit have confirmed that the notification fingerprint gesture, which made it to the Nexus 5X with 7.1.2 beta update, is not included in this update for 6P. Well, we are not sure why the 6P is often left out by Google when it comes to updates, and this time, a feature. However, given the fact that this is just a beta update, the fingerprint gesture will hopefully be included in the stable release for the Nexus 6P. If you own either of the 2015 Google devices, or the Pixel smartphones, you can enroll in the Beta program here if you want to check out this beta update.